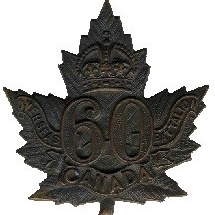 December 1916 – The 60th Battalion C.E.F. "Victoria Rifles of Canada"
Brigadier General F.W. Hill, the 9th Brigade Commander, inspected the battalion.